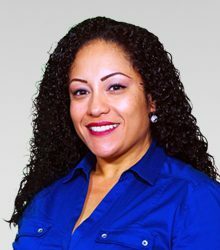 Idalia has been at Texas Title for over 6 years, a homegrown El Pasoan she graduated from Socorro High School in 1999, she was top of her Class at IBC where she received her degree in Legal Office Administration with Honors. She is not only an escrow officer but also a notary public. She has a beautiful family with her 5 children, Cash, Rayven, Niki, Cruz and Viktor who along with their 2 lovely pitbulls Demon and Billi think Idalia is their superhero. The perfect gift for this Escrow Officer superhero? Other than the smile on your face, Idalia would want a signed autographed by her celebrity crush Denzel Washington.